I've always loved soul music. I've always loved organ jazz. I've always loved guitar jazz. From Jimmy Smith to John Scofield to James Taylor to Charlie Byrd to Paulo Apollo Negri, those are just sounds I love. Hey you got your guitar in my jazz and your organ in my soul. Three great tastes that taste great together. 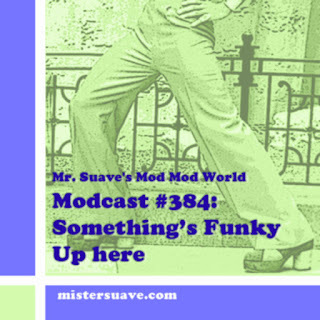 This year is the tenth anniversary of one of those great blended tastes, Soulive. 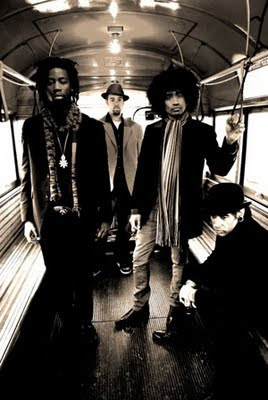 Soulive is guitarist Eric Krasno, hammond BR organ master Neal Evens, and drummer Alan Evans. More jazz than soul at times, there's still a certian something they've got that just makes the soul boy in me come alive. Soulive has achieved some great things during their tenure. I mean how many soul or jazz bands have been on the legendary Blue Note and Stax labels. (Okay, so it was the Stax revived in 2005, but it was the Stax label none the less.) And they've played and recorded with some of music's finest from Stevie Wonder to Dave Matthews to The Rolling Stones to Chaka Khan to The Roots. And while the band is a trio, it is one of those trios that has lots of other guest members, both instrumentalists and vocalists, who add all those delicious elements that make their music so fanatastic. From the first album I heard, 2000's Doin' Somethin', (their third album actually) I have been a fan. Their sound is both funky soul, and jazz jam. It makes you want to dance, but also makes you just want to sit and listen to the notes as they settle one on top of another. They can make traditional soul music, traditional jazz, and all sorts of contemporary sounds combining the two. But they're well beyond just doing the old sound over again. That's their jazz component pushing them to do new and different things, and to break out of the tried and true molds that bands so easily fall into. Over the years they've incorporated reggae, hip-hop, and R&B into their regular soul-jazz blend. Their albums in '05 and '07 dabble more in all of those other genres and featured a slew of guest artists, and not surprsingly only a few instrumentals with the bulk of the tracks being vocal numbers. But their latest release, Up Here, from their own Royal Family Records label is a return of sorts to the sort of soul and jazz that have always been Soulives's bread and butter. Here are a couple of tunes. The first, "Cash's Dream" is from their Get Down album, and the second is a really great Booker T styled soul number from their latest album Up Here, "For Granted".